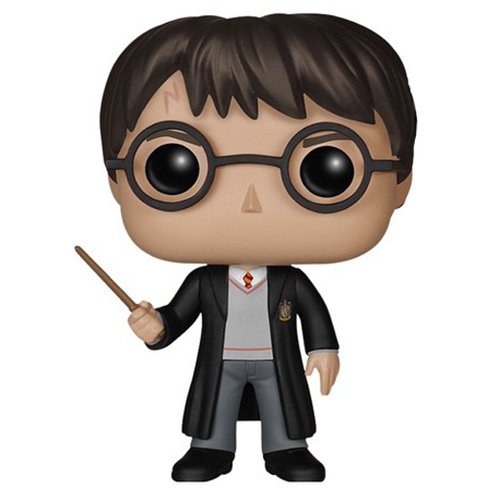 Are you interested in the Harry Potter (Harry Potter) Funko Pop figure ? 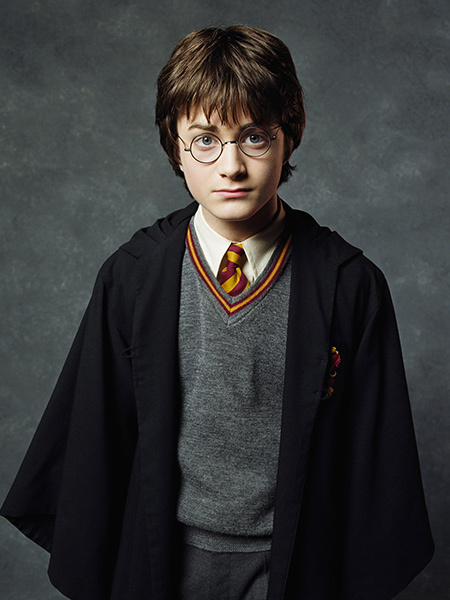 Harry Potter is the main character of the famous fantasy saga written by J.K. Rowling. In seven books and eight movies, Harry Potter tells the story of a young english boy who learns that he's a wizard on his eleventh birthday. Since the day his parents died when he was only a baby, he had lived with his aunt and uncle who always treated him very poorly but when the semi-giant Hagrid brings him his acceptance letter to join Hogwarts, a school for witchcraft and wizardry, his life is going to change. He will discover a whole new world filled my magic spells and strange creatures and make two very good friends, Ron Weasley and Hermione Granger, that will always remain loyal to him. But he will soon learn that it can also be a very dangerous world and that Voldemort, the wizard who killed his parents, is still lurking around, waiting for his time to come back. 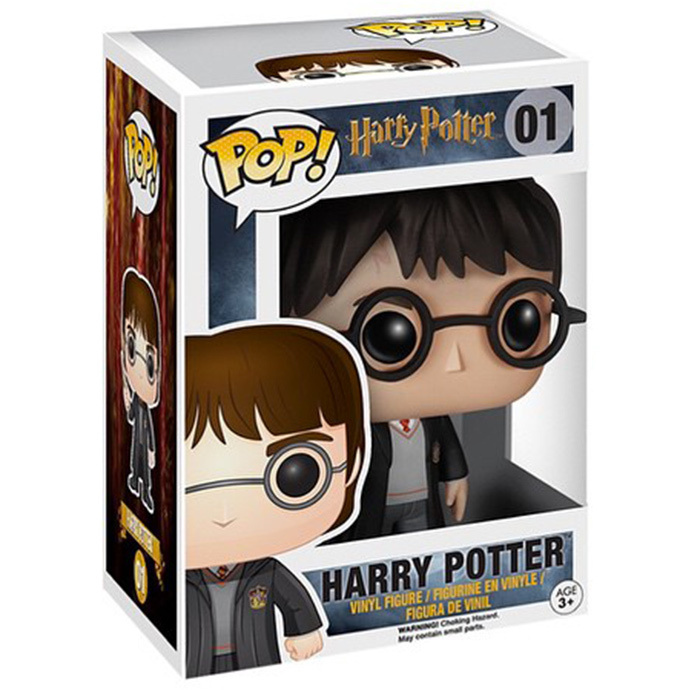 On this first pop figure of the Harry Potter collection, Harry is depicted as he during the first two movies where he almost only ever wears his Hogwarts uniform. So you can see that he's wearing a traditional english school boy uniform with grey pants and matching pullover, black shoes, a white shirt and a tie. On his pullover and tie, you can see the colors of the house Gryffindor: red and gold. 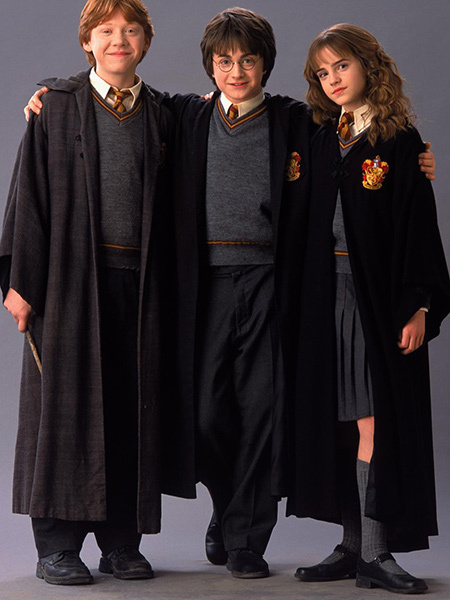 Over his clothes, he is of course wearing his black wizard robe with Hogwarts' sybil on the chest. His head is the usual shape of all pop figures and you can see the very recognizable scar on his forehead as well as his trademark round glasses.